How amazing to achieve goals and get the buzz of winning with your own brother. How incredible to be able to look at someone’s eyes and not even need a nod to agree on an idea being just right. And how very difficult it can be because uncertainty, turmoil or disagreement are all the more emotionally charged. Can these tensions pay off? Will our relationship help or hinder the chances of business being successful? I launched Howdy with my brother, Tristan, only last year. He and I have an unusually close relationship. I was 13 years old when he was born so I had a chance to occasionally play at being his dad when I was a teenager. But then, when Tristan was only seven, our dad lost a secret battle with depression and killed himself, which meant that me playing dad to Tristan (and our youngest sister) got a whole lot more serious. As I write this article, it is, to the day, 20 years since dad took his own life. That kind of emotion can bond people tighter and so it did for us. Our relationship went from being fraternal to paternal, to buddies and now business partners. Given we are family founders it was instinct from the outset to want to develop a culture within Howdy that has a family orientation and, while we had looked from afar at companies we admired, such as consistent best employer winner Salesforce, it was hard to ignore the company we had grown up with, a family business. Dad joined Richard at Virgin Group in 1983 and family and work life were always intertwined. Whether it was joining the Bransons on holiday or going to the legendary Oxfordshire family parties (I was about 10 years old when we drove home from one party and I told dad how much fun it was playing games with the amazing David Bowie impersonator. This impersonator even had eyes with different colours! Of course I then learned he was the real David Bowie). There were five of us kids and through the 80s and 90s we would join dad on marathon overseas business trips across Asia and North America. Always exciting as we were ferried from a shiny, new Virgin Megastore opening to the record label offices or jumped on a newly fitted Virgin Atlantic plane to visit a cola bottler. The line between work and play was not blurred, it simply didn’t exist. So when Tristan and I formed Howdy it was very important that the sorts of stakeholders we would want for Howdy would not just bring skillsets and experience but also a sense of caring and heart. Howdy is a company that exists to build and connect communities so we feel a real need for authenticity especially given that the ultimate community is a family. We sought stakeholders that see our work as passionately as we do. People who contribute to building a culture where privacy is respected but a team dinner out is something they look forward to, not a grudgingly accepted obligation. We struck gold because the first person to join us at Howdy as our co-founder was our youngest sister’s boyfriend. 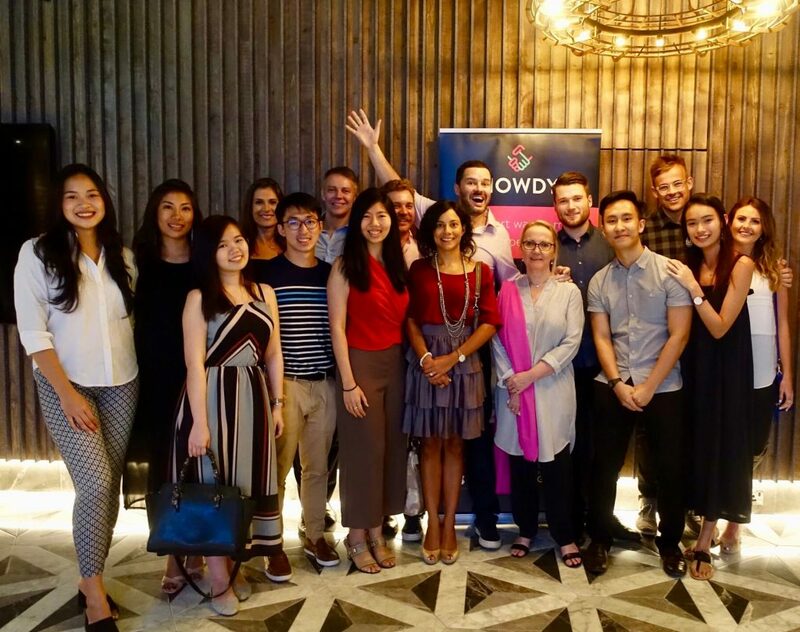 In February 2017 we moved half of our tiny company to Singapore and here the fact that we are a family business has resonated well where family-led businesses remain commonplace. I don’t think we could have moved across the world had we not had the implicit trust that close brothers have. An unfair advantage that we exploited and we’re super proud that while we started the year with just four of us, we will be closing the year with 12 employees in addition to wonderful, new investors and advisors. All of whom feel like they are part of a growing family. Should you go into business with family or close friends? I don’t think we would have got Howdy to where it is today had it not been for the energy of our close relationship. I think we have a huge advantage in seeding the culture we think is right because we are already family. But we are a start-up, very young and have Mount Everest to climb, we have had our relationship pushed to extremes we had not expected. Life doesn’t serve up ideal scenarios and if the seed of an idea is nurtured with someone you love then perhaps there is no alternative but to pursue that dream. Our advice is to go in with a promise to serious openness and honesty because there is nowhere to hide when home and work collide. This blog was originally published on Virgin Entrepreneur.